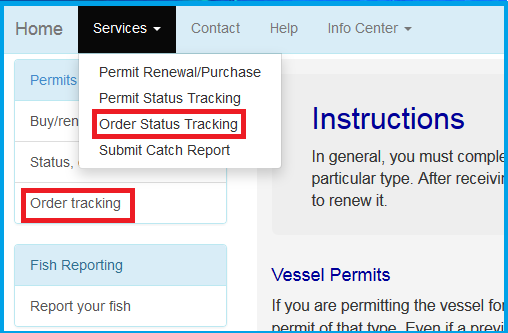 Click on Order Tracking under "Permits" on the left side of your screen or click on Order Status Tracking on the Services drop-down menu. In the "Enter Order Search Criteria" screen, enter the order number. 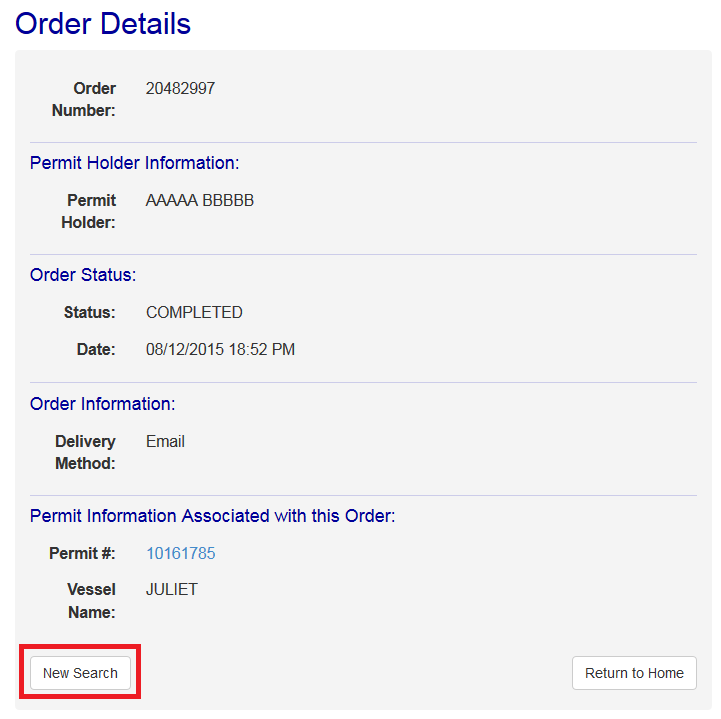 Click the Search button to search for your order information. 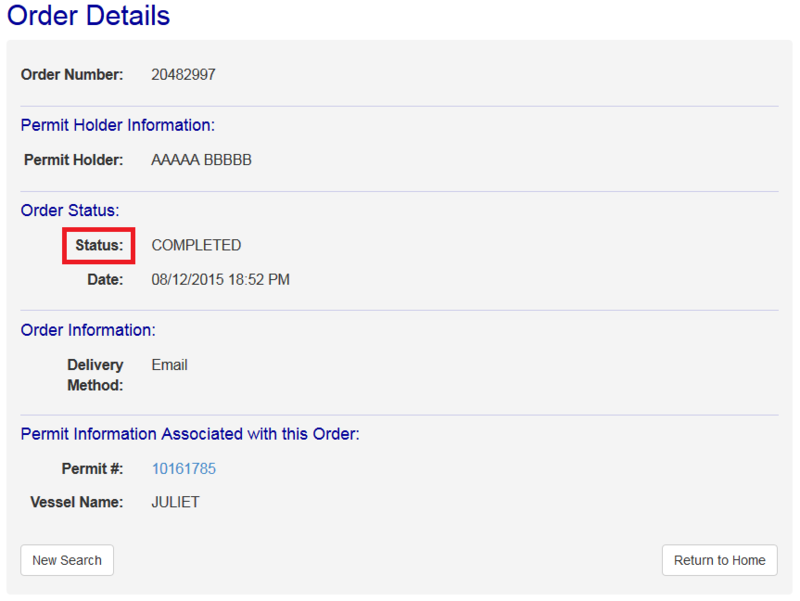 Read the order status from the "Order Status" section. To conduct another search, click New Search at the bottom of the screen.